From Tulsa, South or West side: Proceed to the south east side of Tulsa using the Creek Turnpike or HWY 169 south. 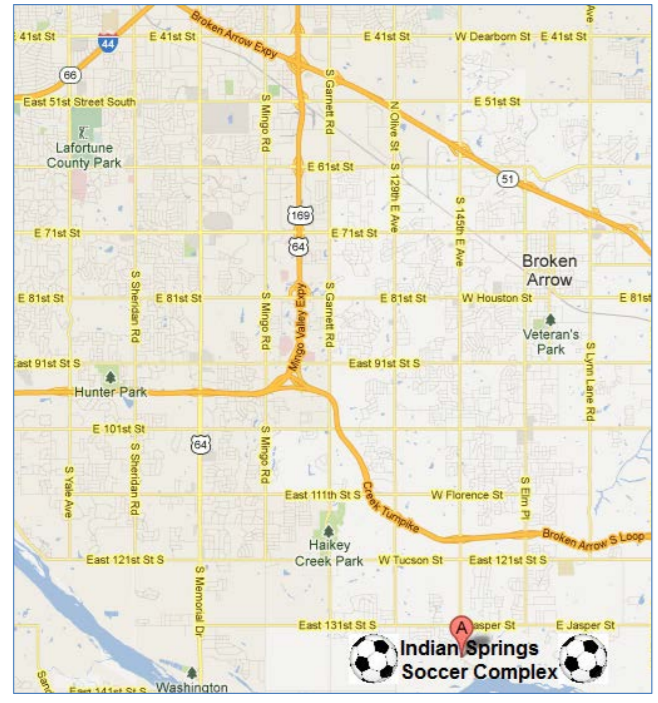 Follow the Creek Turnpike - Broken Arrow South Loop to the Aspen Ave/145th Street exit. 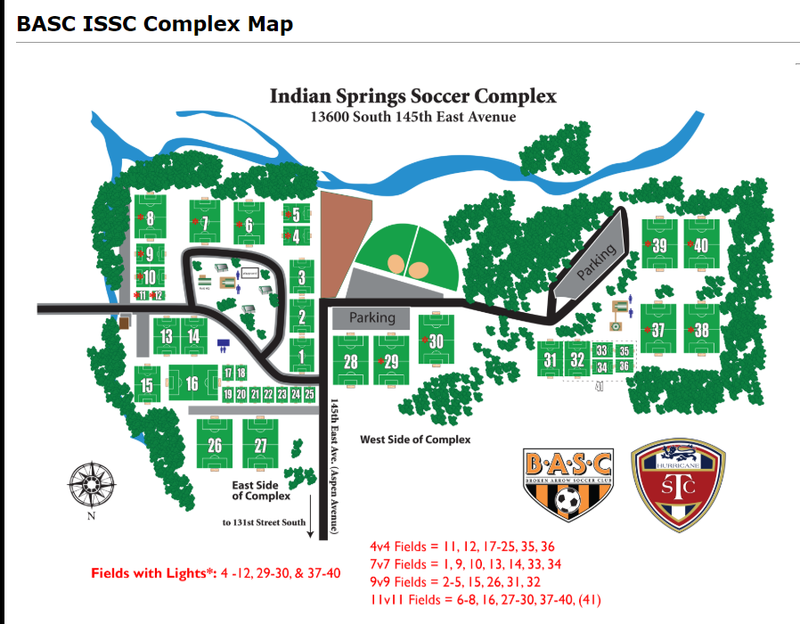 Turn right going south on Aspen Ave 1.5 miles until you reach the complex past Jasper Ave/East 131st Street South. 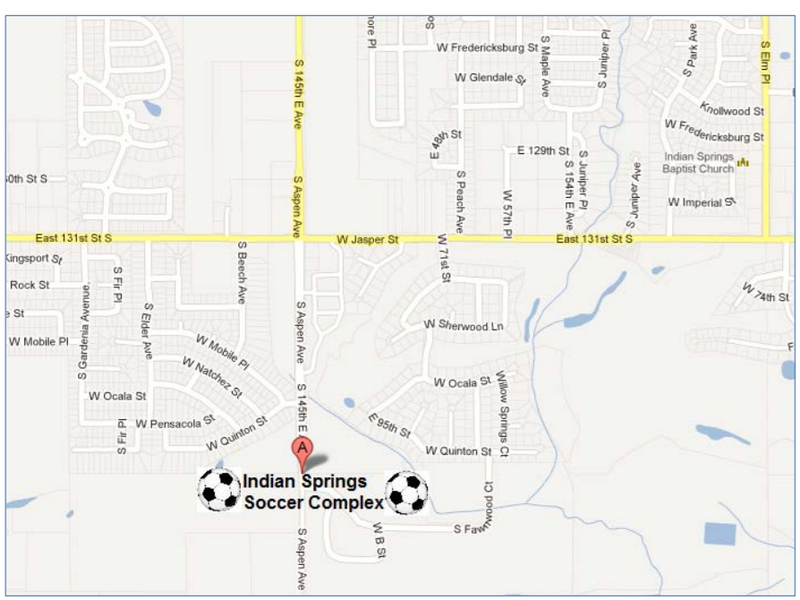 From BA Expressway: exit the BA Expressway at Aspen Ave/145 Street and proceed south 7.5 miles to the complex.